Enjoy the top 3 famous quotes, sayings and quotations by Albert A. Michelson. 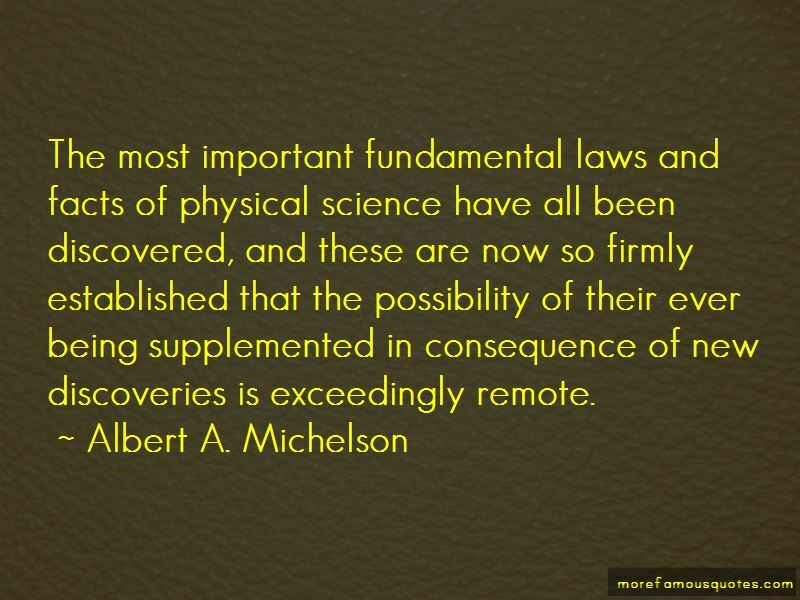 The most important fundamental laws and facts of physical science have all been discovered, and these are now so firmly established that the possibility of their ever being supplemented in consequence of new discoveries is exceedingly remote. 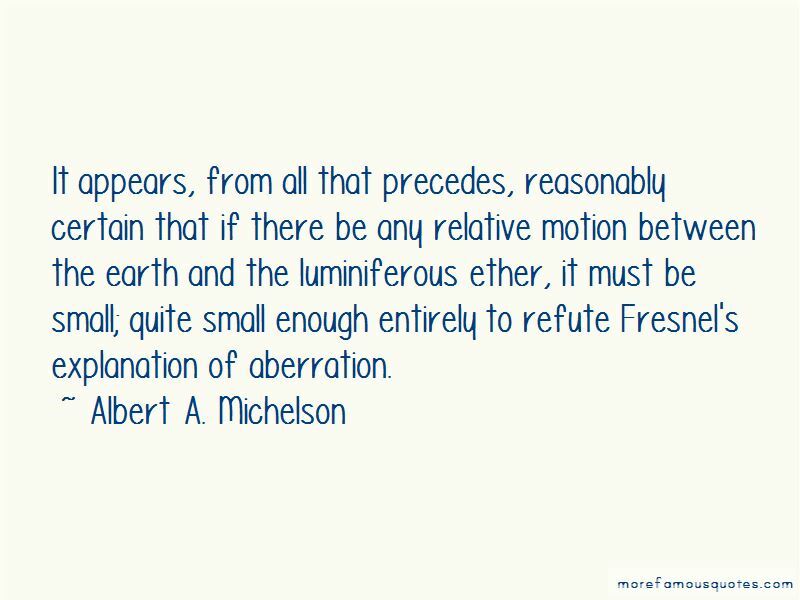 Want to see more pictures of Albert A. Michelson quotes? 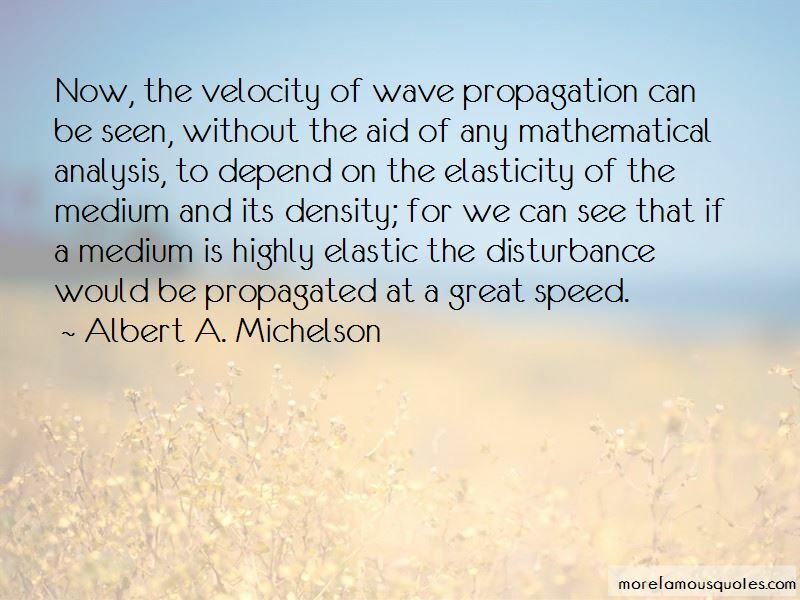 Click on image of Albert A. Michelson quotes to view full size.